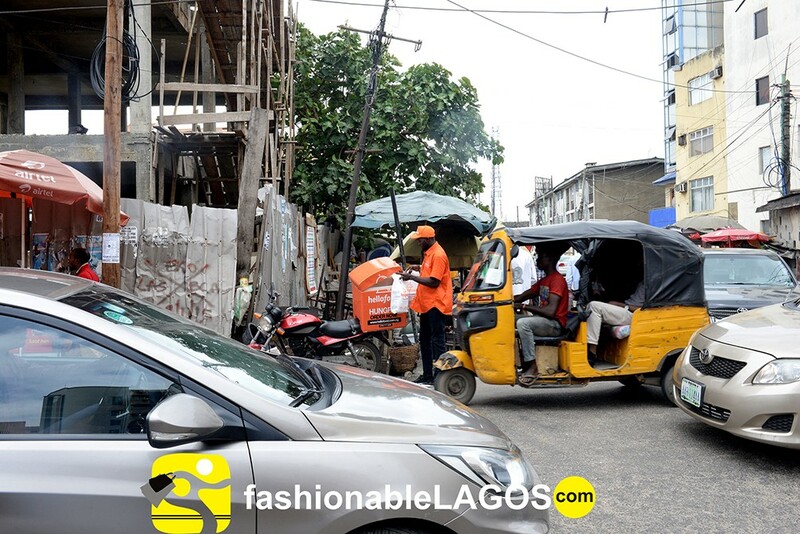 For several months on end, I worked out of my Lekki 1 enclave based office, off Admiralty way precisely ,slowly building and growing my social commerce start-up, www.fashionablelagos.com basing my success on my radical theories of merging content and commerce together all in one platform. Afterall , who controls the narrative controls the traffic and can monetize faster with content marketing , my media background opinion believed. 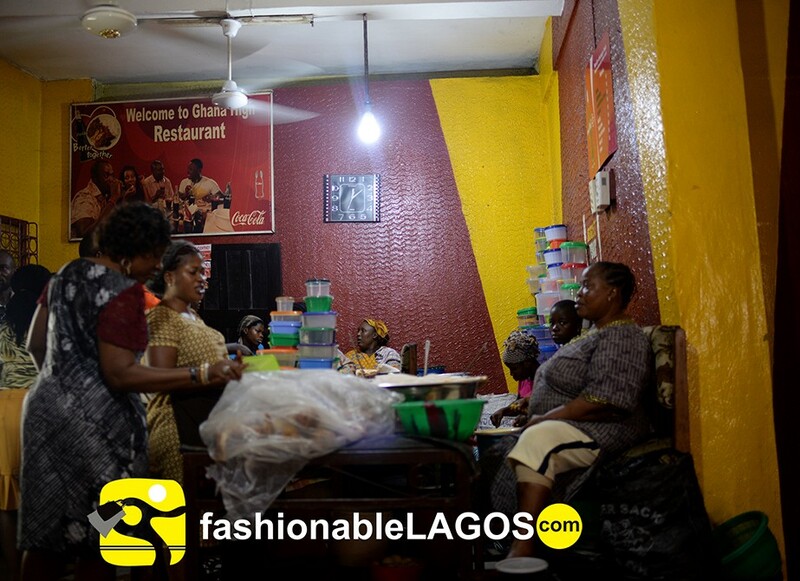 For the first time, in 2 years, I decided to feel a pulse of the city and do a Photo-Story on “Retail In Lagos”. I had earlier worked as a Photographer Assistant, Fixer and Photographer for National Geographic Magazine, Time , New York Times etc on Nigerian and West African stories in general. So, I hit the road, for this well deserved break , a journey of 5 days, a part of the city at a time. On day 3 , stuck in the legendary Lagos traffic , I was forced to branch at the famous Ghana High Commission Restaurant , a local Bukateria. [Definition: a cafeteria, canteen, or simple eating-place] for a quick meal. There it was, the heart of the story. 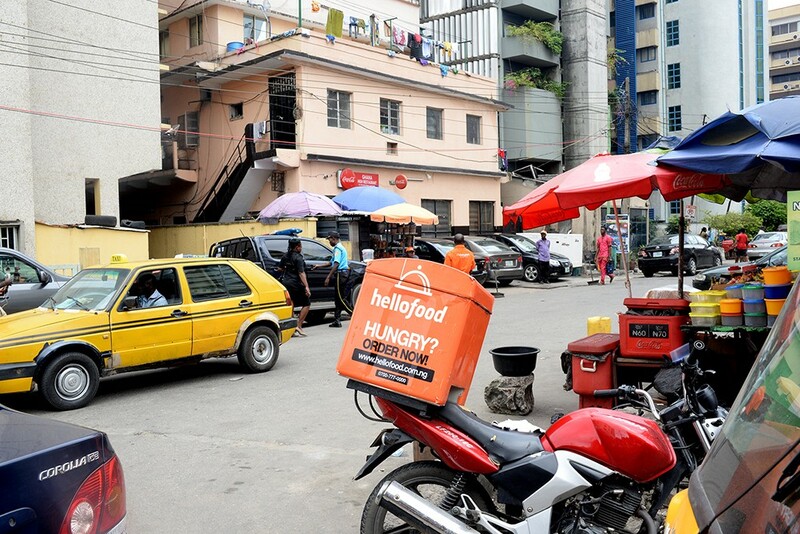 The HelloFood operation going on there was incredible. As I ate from my plate, I watched as loads of packs were being shipped out wrapped in HelloFood wrappers, orders being picked from a lady sitted behind a laptop surrounded by 3 assistants doing loads of paper work. In a context, In -store sales struggled to match HelloFood Orders. 1. Nigerians will go online for what they know and are used to with just word-of –mouth advertising . 2. Start-ups that can kill same day delivery and logistics will win eventually. 4. Work with established Brick and Mortar stores more as they currently struggle with traffic. 5. Tech founders based in Nigeria need to go out more and interface with the customer and populace instead of spending hours on Tech Blogs. 6 . It all about logistics, logistics, logistics. Olayinka Oluwakuse , Photographer and founder , fashionableLAGOS.com writes from Lagos,Nigeria. 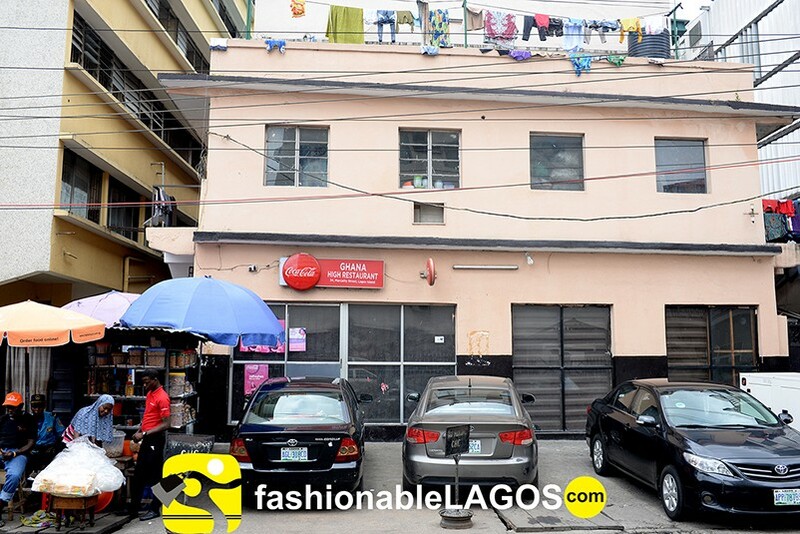 P.S : This piece later on inspired the creation of the “Real African Fashion Marketplace “ , www.balogunmarket.ng currently operating from 23–27 Abibu Oki Street ,Breadfruit junction,Lagos Island,Lagos,signing 3500+ vendors in the first week of operation. Founder , AirCoHosts,Inc . Formerly of BuyChatPay inspired by Balogunmarket.ng ,which was inspired by his first piece on Medium.